In addition to being the creators of Passionate Heart– where we help people create passionate, loving, connected relationships that last–we’ve been called one of the world’s leading experts on keeping the spark alive in a relationship. 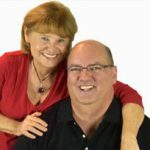 As Breakthrough Relationship coaches, soul mates, spiritual and life partners, we are passionate about making this world a more loving place by teaching people how to love themselves and each other. Since 1999, we have been writing, teaching and sharing what we’ve learned about how to keep the spark alive, overcome jealousy, communicate with love and many other relationship topics. We regularly offer workshops and talks on relationships and are prolific writers on topics that relate to helping people create connected, close vital, alive relationships. 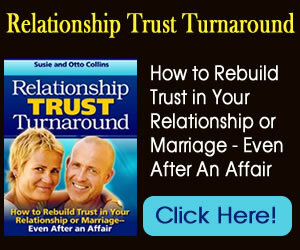 Our free online weekly relationship newsletter reaches thousands of people all over the world. Along with our books and audio courses, we offer relationship and life coaching to singles and couples, in person and by phone. We are co-authors of “Magic Relationship Words” “Stop Talking on Eggshells” “Red Hot Love Relationships” “Should you stay or should you go?” “No More Jealousy” “How to Heal Your Broken Heart” “Automatic Attraction Secrets” “500 Communication Tips & Secrets” and many other books, audios and programs. We have studied with dozens of well-known (and many not so well-known) gifted teachers of relationship and personal growth wisdom. Our formal coaching training has been with Drs. Gay and Kathlyn Hendricks of the Hendricks Institute and Comprehensive Coaching U and with Dr. Belinda Gore. 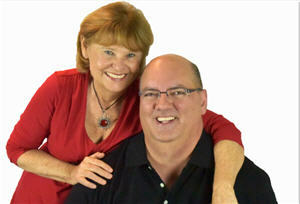 We are graduates of Super Coach Academy and Certified Transformative Coaches. What did we do before doing this work? For 35 years, Susie has been a student of relationships, spirituality, energy and the life force. Her search for physical, emotional and spiritual healing has led her to the study of Polarity Therapy, cranio-sacral therapy, reflexology, Hatha Yoga, the Enneagram, and much more. Her formal training includes a Bachelor of Science degree in education, a Masters degree in Library Science, and is a Registered Polarity Practitioner with the American Polarity Therapy Association and Certified Comprehensive Coach from Comprehensive Coach U. Susie is a veteran teacher and university librarian with over 30 years experience teaching in the public schools and university classes. Otto spent over 20 years as a successful salesperson and marketer of a variety of products and services. Many of those years were spent in the radio and TV advertising business in markets of all size in Ohio, Kentucky and West Virginia. Many years ago, as a result of pondering three of life’s greatest questions– Who am I, Why am I here and What’s this all about– Otto turned his life’s focus to bear on the practice and study of spirituality, personal growth and relationships. We passionately believe that life can be lived in a joyful, conscious, loving way and we are committed to helping others to experience the potential of what is possible in their own lives and relationships. The desire to be loved the way we wanted to be loved took each of us on a journey of discovery of how to create the relationship of our dreams. We believe Spirit put us together for our own personal growth and to shine the light of hope for others. Our goal is to help others create outstanding lives and passionate, alive, connected relationships. Communicating After Trust Has Been Broken: Impossible?